See why the MSR Dual Sport Mirror received our Editor’s Choice and find out where the other best dual sport mirrors match up. Choosing the best dual sport mirrors can be a daunting task that’s heavily reliant on you and your bike’s style of riding. In one corner, you have the guy who converted his crf450x dirt bike. He would prefer not to have any mirror on his bike but knows for his short street rides in-between trails he legally needs one. In the other corner, you have the borderline adventure style dr650 dual sport guy. This guy spends more time on pavement then he cares to admit and sees the value in having a solid, functional mirror set. Durability: Even if you are just wanting a mirror for legality reasons it may as well be at least halfway functional! If your mirror is just flopping around and can’t be held steady then it’s going to do more harm than good. Since most dual sport bikes are large single bore motorcycles, vibrations can often get the best of many dual sport mirrors. Get a decent set the first time and you will not have to worry about this down the road. Functionality: This is going to be highly dependent on what style of dual sporting you are going to be doing. For instance, our editor’s winner is fairly small but folds out of the way extremely quickly and easily. Other mirrors we selected do not fold out of the way quickly when traveling on tight trails but excel with on-road performance. Value: The top mirrors we selected are all very affordable. With street bikes, mirrors can easily get close to $200 each. With dual sports most people are far less concerned about their mirror being machined from one piece of aluminum and far more interested in if it can withstand a crash. Which brings us to our next point. Generally there is a lot more crashing in dual sporting than on the street. While we need mirrors that can withstand a crash we also need mirrors that aren’t so expensive we have to file an insurance claim to replace them. Lets get this out of the way first. 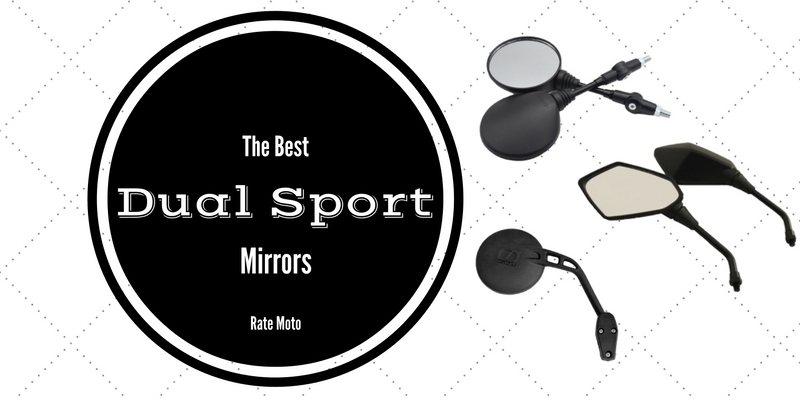 Even though the MSR Dual Sport Mirror won our editor’s choice award, it is not the end all mirror for dual sporting. It just happens to work the best for the style of riding that the author and his riding buddies do. So how did the MSR win? Quite simply, its ability to fold down completely out of the way is simply invaluable if lots of hard trails are in your future. My personal dual sport bike (crf450x) is heavily trail biased (by design) and there’s nothing I can do to this bike to change that. Nor would I want to. The MSR is completely plastic with the exception of some hardware and the mirror itself. The clamp that attaches to your handlebar is held on by three philips head screws which can be a pain to navigate on initial install. The beauty of this design however is the ball head connection to the clamp. Once you adjust the clamping force to the “sweet spot” you can move the mirror out of the way and have it hold its place without loosening or tightening screws. There is a downside to the MSR however. It is quite small and can vibrate a decent amount when droning down the highway. Unless your dual sport has a heavy street bias, the MSR should be at the top of your list when comparing the best dual sport mirrors. If lots of road miles are in your future you should consider a EMGO Mirror Adapter Bracket. 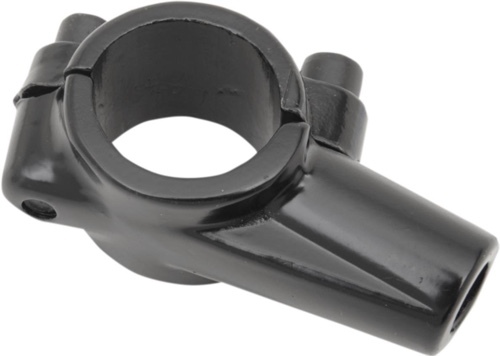 This adapter clamps on your bar just like your clutch and brake levers do. This particular bracket adds 10mm threaded inserts which makes it compatible with almost all street and adventure mirrors. The upside of going this route is you basically have infinite mirror choices. The downside is very few of these mirrors will have quick folding or tool-less detaching capabilities. The other popular route you can go is if you know you are coming up on an extended offroad stretch and you want the ability to remove your mirrors, simply bring the correct spanner wrench and remove the mirrors before going offroad. There are many cheap mirror adapter brackets on the market. We found the EMGO as the one to beat. If you decided that more street is going to be in your future then go no further than the Neverlandback Stealth Mirror. 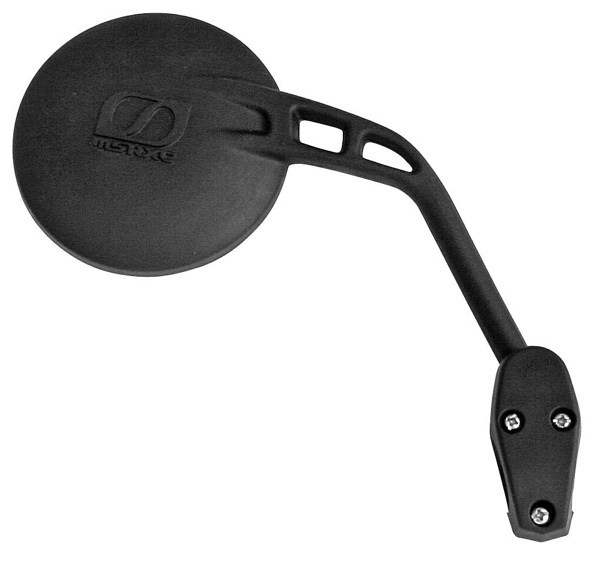 The Neverlandback is a very traditional street bike mirror that is easily adjustable and geared towards street use. This unit is easily one of the best dual sport mirrors for riders that are either primarily commuting or are ready to admit they have to ride on the street much more than the trails. Keep in mind you do need to grab a couple of EMGO Mirror Adapter Bracket so you have a reliable way to attach these mirrors to your handlebars. 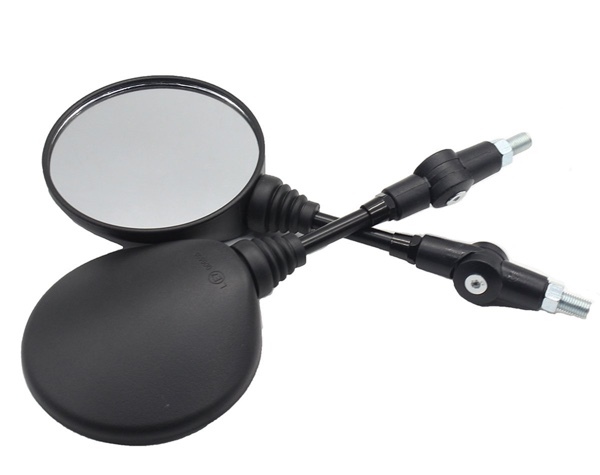 You can probably tell by the title but the Generics branded Motorbike Rearview Mirrors are more of a generic use mirror rather than a dual sport mirror. This however, does not mean they wouldn’t be fantastic on a dual sport bike that sees an honest 50/50 dirt and street. 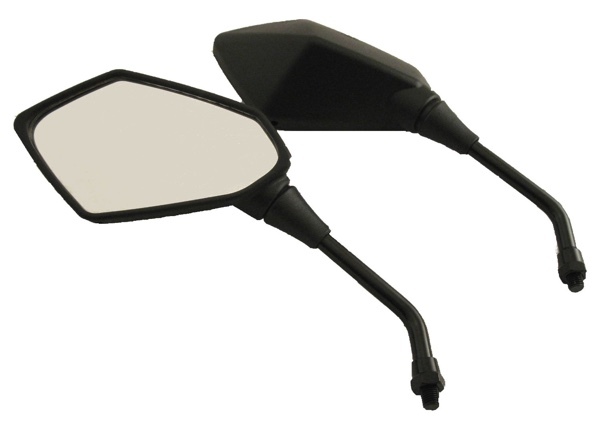 These mirrors have proven to be one of the best dual sport mirrors as they are nearly fully adjustable and can be folded down flat. This is huge if you are coming up on some trails and need your dual sport mirrors completely out of the way.